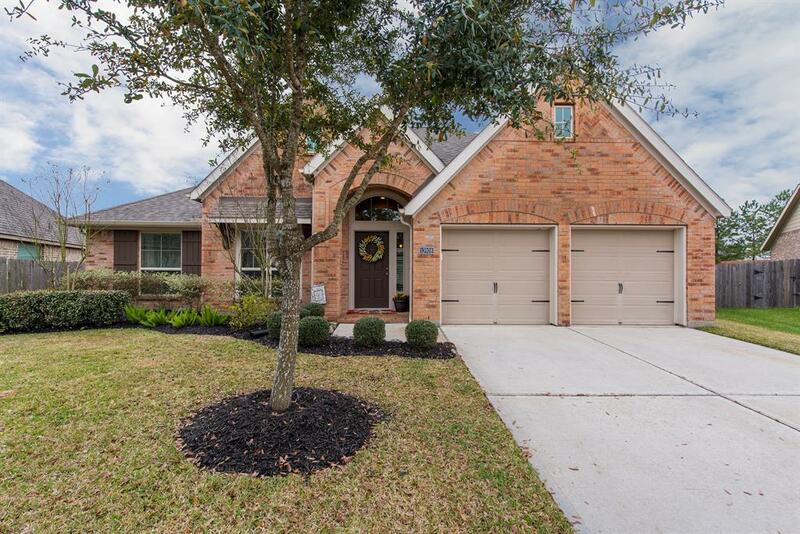 BEAUTIFUL 1-STORY PERRY HOME, on a cul-de-sac, located in master planned community of Shadow Creek Ranch. 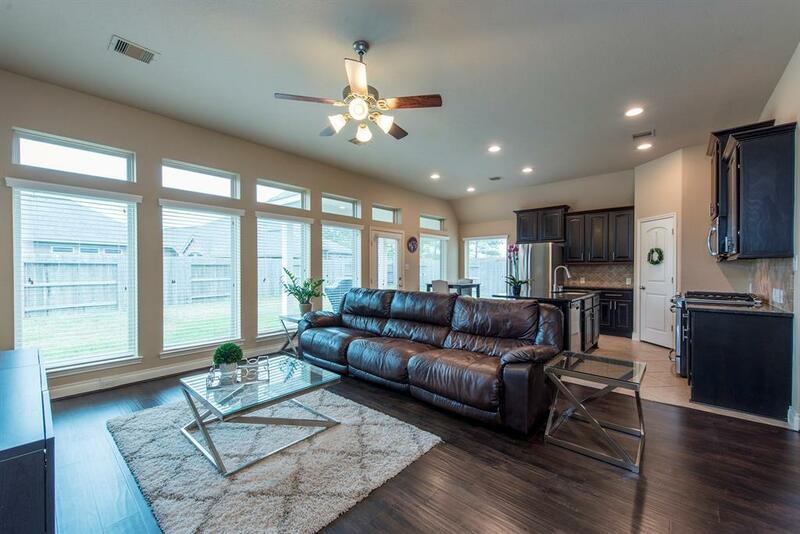 Open concept design is perfect for entertaining guests or children. 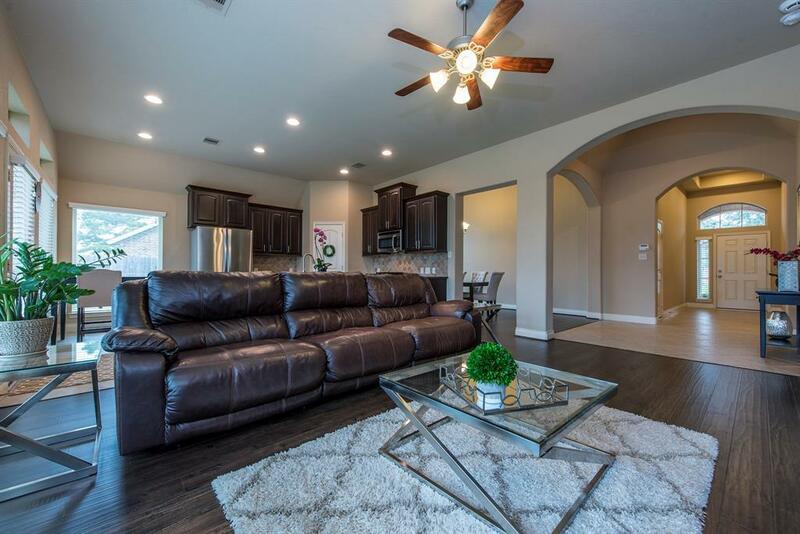 Breathtaking entryway, 14ft ceilings, 3 bedroom, 2 baths. Natural light flows through a wall of windows in the family room with high ceilings. The gourmet kitchen features a large island with bar seating, granite countertops & stainless steel appliances. A secondary dining area/breakfast nook is located adjacent to the kitchen which also conveniently connects to the dining room. The master bedroom gets lots of natural light & master bath includes granite countertops, large soaking tub & separate stand-up shower. The home features spacious secondary bedrooms. A large covered patio overlooks the oversized backyard. Community amenities include water park, sports complex, nature learning area, pools, lakes, hike/bike trails, sports courts, playgrounds. 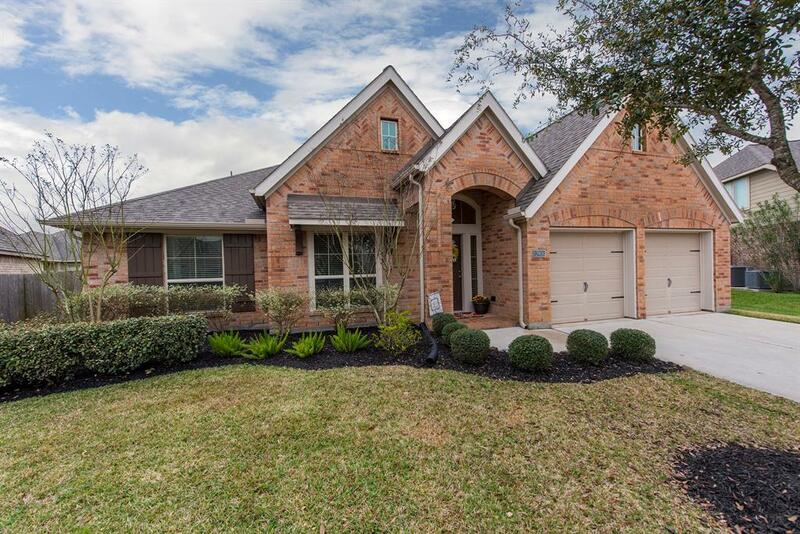 Easy access to Beltway 8, Highway 288. BONUS-HOME DID NOT FLOOD!